AVS Forum | Home Theater Discussions And Reviews > Audio > Speakers > breaking in new speakers?? When you guys get new speakers, do you typically break them in? If so, how do you actually do this and how long does it take? Do you really notice a difference in sound quality after breaking on? I just got a pair of energy cf70s as mains and I'm waiting to get energy cb5s as surrounds and a cc10 as center channel. I was thinking to just run my home theater for several days nonstop to break the speakers in. It would result in an extra cost to my next utility bill for the electricity needed to do this, so I'm wondering whether it's worthwhile. According to some of my talks with some engineers (at Klipsch) they break their drivers in for about 20 minutes and consider them done. Look at it this way, if it takes 200 hours to break in a single driver, and if the guy has 5 drivers to check... he's got a LONG time to go to make sure that any of them will work for him. I put more faith into their logic than what I've read on the internet as being required. I think it probably depends on the speakers. My Cerwin Vega CLS-215's had a recommended 300 hours, and probably needed it. They did get much smoother, esp. In the bass after a few months. I just ordered some Ascend Sierra-1s, and the manufacturer recommends 50 hours. My guess is that a bigger, lower quality (but still great sounding) speaker will take a lot longer than a smaller, more refined speaker subject to greater quality control. Speaker break-in is bunk, conceptually it seems to be logical but in actuality it is unnecessary. Only thing it really does is gives your ears time to become accustomed to the characteristics of that particular speaker. Plus reduces the likelihood of you returning the speakers within 30 days. I simply cannot believe how many times I've read posts here about "breaking-in" spkrs. Painful as it is to believe that I got sucked into hype (happens all the time, if I'm honest) I am inclined to believe sound reasoning and testing than my own (crappy and prejudiced) subjective experience. Always reserve the right to get smarter. congrats on the Sierra-1s--just got a pair myself. I can't see how any reference to size or quality would have anything to do with breaking in a driver. Someone tested some drivers using a method where he could compare if the driver changed response. The driver did change, right away. But it took minutes maybe, not hours. He measured the driver again at a later date, and it had not changed. I don't have the link to the article though, sorry. IMO, even if you do need break-in, I would simply play something continuous through the speakers for a few days or if you think it's needed weeks. I can't see why you would need to do anything else special. I agree with you. What are we to do... buy some new speakers and leave them in some state of pink noise playback for 300 hours to make sure they're broken in correctly? Plug em in, turn em on and enjoy them is what I say! From my experience (and sorry if I dont think "Mark"at audioholics is the all knowing poster about speakers (pretty biased and at times plain silly site) but anyway its real...disagree if it makes you cool but I and many others know what we hear. This must pose quite a dilema when the break-in period is similar to a store's grace period for returns, no? I don't know that people are saying that breaking in a driver isn't "real". I think most people (me anyway) think it's the length of time that is a bit absurd. Something that takes say, 100 hours to break in... what does this mean? Does it mean 100 hours of maximum excursion to FULLY break in, thus, you have to have it jamming for 100 hours or maybe 200 hours if you only go to half volume? Would it take 1,000 hours if you only listen as background music? What level of cone movement for "X" hours, does it take? I can't believe that the above logic would be anywhere near accurate...if it were, frankly, I'm not so sure I'd even want something like that. Look at a rubber band. You can perhaps get a little more stretch out of a rubber band (breaking it in) if you loosen it up first, rather than take it to an immediate breaking point. Once you do that, it's just about broken in. You can play with it for the next 30 years and the breaking point is going to be substantially the same. So, now we have speakers (usually bass drivers, right?) with paper accordians (low break in I would think) and others with more exoctic materials. I can live with they might need 20 minutes or 1 hour of GOOD flexing to break in... anything beyond that I would attribute more to ears and not drivers. So it's not the claim of breaking them in that might be disputed but rather, that it might take them 100, 200 or more hours to break in. I let the previous owner break mine in for 35 years. I broke my boxes open and carried them in. How sweet the sound was. You should reread the article, he once firmly believed in the practice of protracted break in sessions for drivers. He ultimately did the measurements of pre/post break-in and found negligible differences. What differences there were so minute that the faculties of human hearing cannot perceive it. Evidently it is fairly common practice for speaker manufacturers to run a sine wave signal through the drivers for a brief period of time and that initial test more than anything else is intended to verify the functionality of driver and is all the break-in needed. Claims obtained by objective quantifiable and repeatable methodology versus subjective conjecture, observed by the ever fallible human senses, are extensively more likely to be valid and factual. 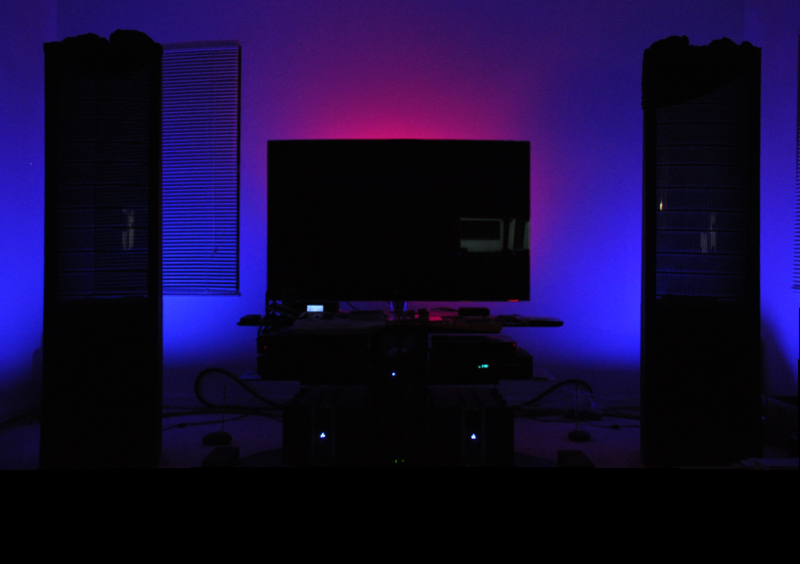 Some things do require a period of 'break-in' before they stabilize in their performance; such as plasma or conventional LCDs displays tend to be fairly brighter initially but after a while light output stays consistent. Drivers in speakers on the other hand are designed to be accurate and consistent out of the gate. If they were not how would one ever know if they are actually hearing the performance they paid for. Assuming a given period of recommended break-in were true this increases the likelihood that a driver(s) could be falling out of spec and tolerance. If there really was such a degree of variability in the drivers performance that requires any given extended length in time to obtain optimal performance it raises the question of how long will the drivers excel until they need to be replaced? This amount of uncertainty and variability should make any potential audio enthusiast to question the quality of that manufacturer. PS Just because many people believe a certain thing does not make it true. For example many people believe porcelain speaker wire risers improve the sound quality of their expensive ultra-shielded cables. Or perhaps the old classic of running a Sharpie on the outside of CDs for improved sonic performance of a digital medium. Perhaps if you can be more specific and refute the article or parts thereof that he's credited with writing it might lend more credence to your position. The rubber band analogy that you brought up, Coytee, is reasonable. If you take a rubber band and measure its length you'll get some value. Let's call that X. Now you stretch it for a while and remeasure the length. Let's call that X+cX where c is some fractional component. Now if you come back later, say tomorrow and remeasure the rubber band, you'll find that it's length is X again. However, it's entirely possible that one will stretch the rubber band far enough that you will in effect ruin it. Some folks to their detriment have found much the same with sub drivers. The topic of speaker break-in has been studied rather extensively using techniques such as laser interferometry, measurements of speaker parameters, and controlled listening tests. "A break-in process is recommended. Drive-unit storage may cause the diaphragm suspension to drift away from its normal or in-use position. Break-in, with the drive-unit axis in the in-use orientation (usually horizontal), restores the normal diaphragm position. The recommended procedure pneumatically stretches the suspension to one excursion extreme, then the other and continues to alternate, decreasing the excursion each time until x is at zero. This process can be completed in less than 1 min." Mr Clark also indicated that drivers which had been stored face-up or face-down sometime need 1 minute of pink noise to restore the original center position. This could also be accomplished by a few strokes of the suspension which many manufacturers do routinely when the speaker is at the end of the assembly line. This suggests that most speakers, are in fact broken in when you get them. Further work has been performed by Tom Nousaine who has measured speaker parameters pre and post break-in as well as having conducted controlled listening tests. He has found that the Fs of the speaker falls however that is offset by a rise in Vas. Both these parameters were related to the changes in compliance that occurred. During the playing or excercising if you will of the speaker, both the spider and the surround become more compliant (they move easier). Additional measurements on samples of identical drivers indicated that the changes that occured pre and post breakin on a single driver were smaller than the variations within a particular lot of drivers. Since there are manufacturing tolerances for drivers, this indicates that whatever the changes are that occur are smaller than those of manufacturing tolerances. This further indicates that the net effect of speaker breakin is nada, nothing, zilch, forget about it, etc. In one experiment, Nousaine used a driver that was said to need 48 hours of break-in. Placing the driver in a 1.5 cubic foot box, he found the system resonance to be 53 Hz before break in. After 48 hours the resonance was 49 Hz. After a few minutes rest, the resonance had gone back to 51 Hz. The following morning it was back to 53 Hz. This indicates that whatever small changes that occur in a driver's characteristics during playback come back to their original state after rest. These experiments have been performed with other drivers such as from Dynaudio with similar results. Overall this indicated that whatever changes do occur, they do not change the sound quality. So if the sound quality does not change in any significant way, what then does occur? Well listening adaptation would then have to be looked upon as speaker break-in. Anyone who has spent time listening to audio systems or components knows their opinions with regards to the nature of the sound changes with time. In the case of speakers, when one buys them and brings them home, you become used to the sound of that particular speaker. That sound may grow upon you or you may find there's something that you don't like about it. Nonetheless, however they sound in your particular home, it'll be different from the way they sounded either in someone elses home or the stores where you heard them. A number of years ago I've sent inquiries to various speaker manufacturers and these are some of the replies on this subject of break-in. We've found (as have our dealers and customers) that the most significant changes occur within the first 75-150 hours, with smaller incremental changes occurring up to a few hundred hours. After that point, you shouldn't notice much change at all, as the speakers would be broken in thoroughly. This time is the same for each model and is best accomplished by just playing music through them. Thank you for your interest in Revel. I hope this information has helped, should you have any further queries please feel free to reply to this email. With all mechanical parts they do require a running in period, this ideally should be about 36 hours, what I suggest you do is listen to your speakers at a moderate level when you can over this period. Following this procedure will help prolong the life of your speakers. Thanks for your recent email to Definitive Technology. In these emails, as in the replies and positions that many companies make to this day, we have two basic thoughts - physical attributes of drivers change and folks state they hear a difference over time. What hasn't been established is whether this is simply a correlation or a causation? The two are not the same. Now if studies have indicated there is no significant change during pre and post breakin and that whatever changes that do occur come back to the original over time, one must ask the question, if the speaker companies are aware of this, and larger companies, that have access to such data as I've presented here do, what is the purpose for specifying breakin that amounts to around 40 hours, give or take? To my mind, the reasons would have to do with ensuring that the customer keeps the speakers in their home for a couple of weeks to hopefully either get used to them or to convince themselves, rightly or wrongly, that they do like the speakers. During this process of listening, the customer, as can be seen on some of the posts on this forum, is actively seeking out other users opionion, corroborations, justifications, positive/negative opinions. So myself, I would recommend that anyone purchasing speakers listen to them in their homes and if during that time, which should be well before the RETURN PERIOD, they don't like them to take them back where they bought them and rethink the choice they made. Any salesman who says you need this CD or this procedure in order to effect break-in is doing so for either a couple of reasons...they're ignorant, or they're hoping you need a little more time for the speakers to grow on you so you don't return them and he/she doesn't blow the sale and commission. Here's a question to ponder for those who hear differences in speaker qualities over time regardless of studies that strongly suggest otherwise. If you're able to hear such things, why in heaven's name do you need an SPL meter and or software to adjust your levels? zurak and MordredKLB like this. Chu, that's an outstanding post. When I state "relatively short" time for break in, I'm talking audible changes in minutes. That being the case, I'd extrapolate this further, and suggest that the subtle changes continued in somewhat of a logarithmic manner. Whereby the vast majority of changes in the suspension loosening, the motor heat cycling, etc., occurred in perhaps the initial few minutes. Subsequently followed by a period where the changes are occurring, however slowly diminishing to a point at which they're negligible. It seems to me there are various things that need to be clarified when talking about drivers and speaker break-in. There are those drivers that have never gone through any sort of post production flexing, conditioning, or whatever you want to call it. Just a bit of a guess on my part, but I would think these are the drivers sold in catalogs to end users or to small internet manufacturers. Larger manufacturers can ask for and obtain certain considerations. They can sign long term agreements that specify T/S parameters, acceptable variations, acceptable number of out of spec drivers in a given lot, and mandatory returns when incoming lots do not meet pre-agreed to specifications. And of course, they can require that incoming drivers have already gone through a post-production stress test. My guess would be that if you happened to have a driver that never had the spider (from what I've read over time, most of the physical changes seem to occur in the spider) exercised or if it had lost its center, there could be audible changes. As you say though, FOH, it ought not take long to right matters. I'm all for keeping a speaker long enough to figure out if it's right for you. But if it isn't, it shouldn't take too long to figure out and if you're going to let it break in for 200 hours, more likely than not, you've just invested 200 hours in getting used to a speaker that just wasn't right. Just depends on the surround and how much there is of it. It doesn't take 300 hours to get a driver as compliant as it will be after a few minutes to a couple hours. After that its all just marginal improvements at best. Revel hit the nail right on the head. I couldn't even count the amount of loudspeakers that I've personally burned-in new from the factory over the past 15 years and the results are absolutely identical to my ears each and every time. From my experience, it takes 60-70 hours before big changes stop and my ears can hear minor changes up to 100 hours. This holds true for any type of speaker and the volume during break-in has no effect. That Audioholics article is meaningless. Just because there are insignificant variations in Thiele/Small parameters, or SPL it doesn't mean that nothing else is occurring during this process which the human ear can pick up. The complexity of what is happening and the way we hear is staggering. Sure, we can measure big blunt things in accordance to our current technology and understanding, but it's certain that the surface hasn't even been scratched yet. These armchair engineers who think that they know everything should be laughed at. Only the ones that actually think they know everything. Well the Audioholics experts measured 5 Thiele/Small parameters and concluded that burn-in is a myth. It's a very good possibility that science is infinitely complex. So my logical conclusion is that there's an infinite amount of variables that would need to be measured in order to answer the question if burn-in occurs and if it's audible to a human ear. Since infinity is infinity, IMO this question will never be answered. In science, every time we learn something new, millions of new possibilities open up. The rabbit hole is forever. And I hope we never learn it all as that would make the Universe a boring place. Nice ancient thread revival. Thanks for confirming you still have little clue about audio. Sell many cables lately? IMO, it doesn't really matter whether speaker break-in is real or not since the best break-in method is simply to use them normally in any case. Speaker break-in is bunk, conceptually it seems to be logical but in actuality it is unnecessary. What if you're not there while they're breaking in? FWIW, I used to do car audio and on one system, I used four Boston Acoustics Pro 10" drivers for the subs and measured the response with the shop's RTA the day I installed them in the box. Before I left for the day, I connected a function generator to the shop's stereo and set the frequency to about 25Hz, to let it play all night. When I returned, the measured response below 40Hz had improved noticeably and the sonic difference was noticeable, using the same music but nobody was there to hear the change. Granted, time and any exposure to sounds AND silence in the hours between my leaving and returning had their effects on my hearing, but what about the measured response? Same amp, same source, same speakers, same car interior, same closed doors on the shop and the weather hadn't changed enough to matter. It is amazing how much our hearing adjusts to the sound of something new but when I worked for a stereo store, we sold, well, the owner bought a line of speakers that never sounded good, regardless of how many times I listened to them or the length of time- possibly the worst speakers I have heard and I have heard some real dogs. I saw a set on Craig's List and sent the link to a friend in PHX, who worked at the same place. He replied "Are you trying to kill me? ".